Cal State LA is dishing out nutritious and affordable meals. Silver Lake has lost a Vietnamese restaurant. And there’s more to like at Highland Park’s Hippo than just pasta. 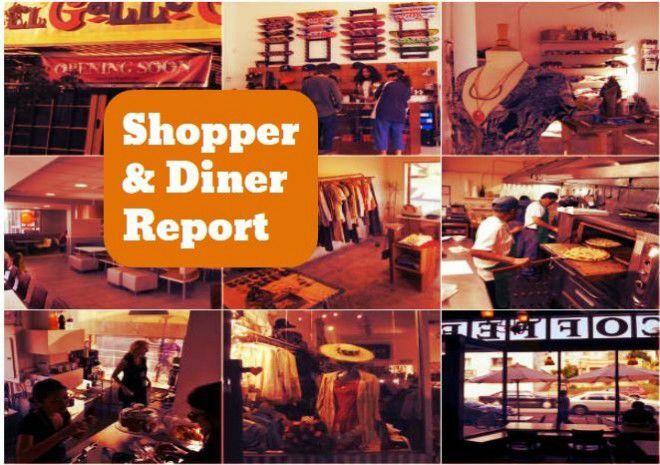 Read on for this week’s issue of Eastside shopping and dining news. Healthy eating has become more accessible for students at Cal State LA with the arrival of Everytable. The grab-and-go eatery aims to overcome food injustice by basing the prices of its nutritious menu options on the income of residents in the neighborhood it serves, according to officials at Cal State LA. Proceeds help establish a neighborhood impact fund to address food insecurity and hunger and foster emerging entrepreneurship at the El Sereno university and in the community. Cal State LA is Everytable’s first university location. Blossom in Silver Lake has shuttered, Eater LA reports. The charming Vietnamese eats spot held on to its location in the heart of Sunset Junction for eight years, until its last day of service on Saturday, Jan. 26. Apparently, Chef Duc Pham listed the property for sale with an agreement to extend the lease, according to LoopNet. The buyer would own more than 3,000-square-feet spread over two levels. The lease is priced at $6,400 plus. We’ll keep you posted on what’s to come! There’s even more coffee brewing in Echo Park. It feels like we have Echo Park coffee news in almost every issue. But in this case, newcomer Mugshot Coffee Roasters is a bit different. First, it roasts coffee beans on the premises and it opened in a pretty unlikely location — traffic-choked Glendale Boulevard, next to the Jack in the Box. Ara Ajounian and Joel Deutsch opened the bright cafe earlier this month with a patio on the same property as Evidence Film Studios and Camera Rental House. Expect coffee drinks, teas, pastries and EP-roasted beans. Mugshot Coffee Roasters is at 1728 Glendale at Aaron. Pasta dishes at Hippo may be the restaurant’s top sellers, but according to L.A. Times restaurant critic Bill Addison, there’s plenty of other menu options that may be worth your while at the bustling Highland Park spot. Under the culinary direction of Matt Molina, a 2012 James Beard Award winner, Nancy Silverton protégé and formerly from Osteria Mozza, Hippo’s Cal-Med approach includes dishes comprised of uncooked fish (tai snapper ceviche, yellowtail tostada), grilled cauliflower and a pork rib, sausage and cranberry beans combination. Hippo is at 5916 ½ N. Figueroa St. in Highland Park.